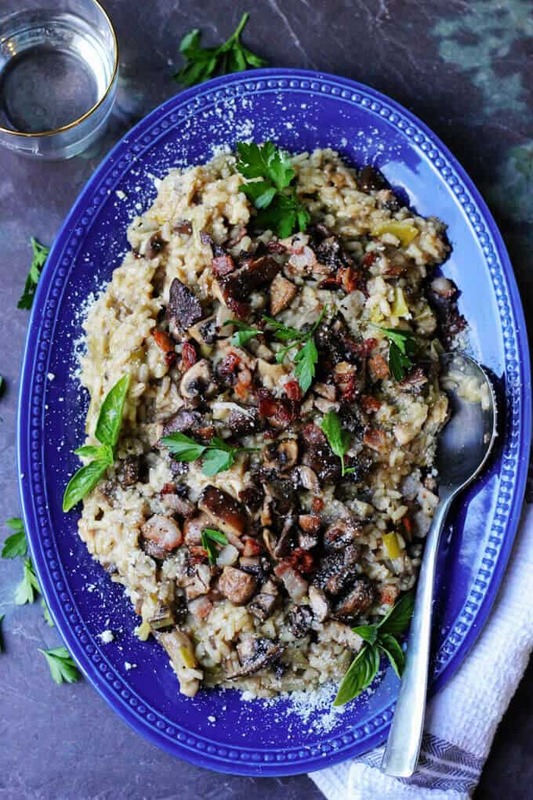 Wild Mushroom Risotto with Bacon and Leeks is exceptionally flavorful and delicious. Every bite introduces a combination of different flavors and textures. 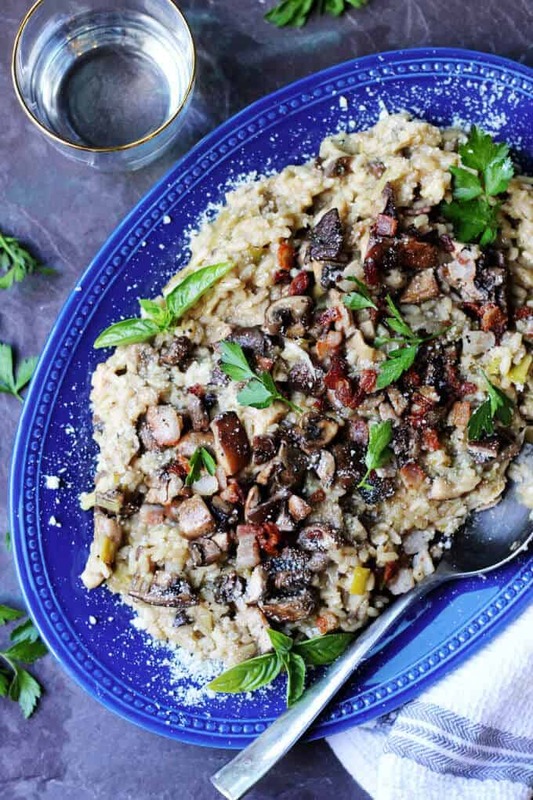 This Wild Mushroom Risotto with Bacon and Leeks is not your mother’s risotto. In fact, it is pretty far away from traditional & boring. The combination of flavors and textures is really surprising. 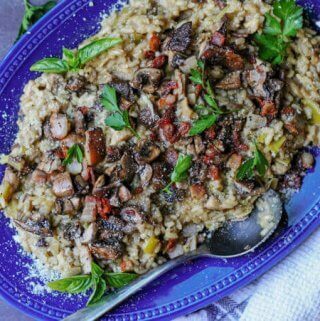 Earthy mushrooms combine perfectly with slightly sweet leeks and then marry together with creamy arborio rice. 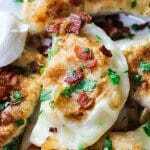 Finally, the dish is topped with crunchy bacon bits for an unforgettable experience. I happen to really love risotto! Whenever I see it on the menu I always end up ordering it (I’m predictable). I’ll take a rich risotto over pasta any day. With that said, it just dawned on me that I hadn’t yet posted a risotto recipe on this blog yet. Sorry guys, I dropped the ball on that one. I have pretty good Greek Spinach Rice with Feta on a blog, but not a risotto. The time has finally arrived to rectify that. And you may know this already about me, but being Polish means I really love me my mushrooms. With a risotto commitment, there was no question in my mind what kind of risotto needed to show up first on a blog…..Wild Mushroom Risotto. I first conceptualized this dish after making a risotto with leeks, peas and bacon bits. 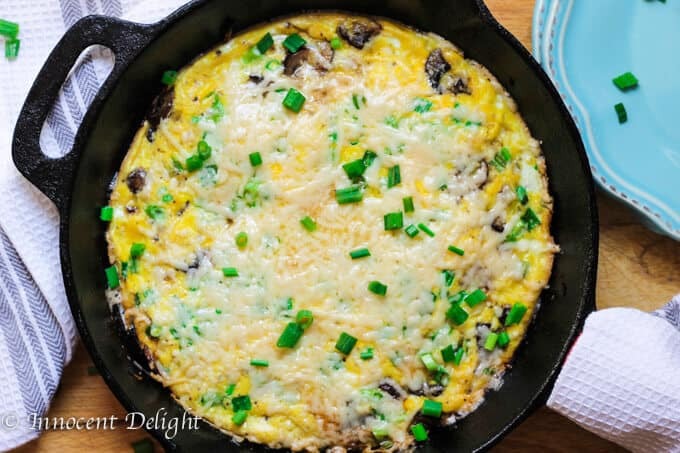 It was outstanding; and so I figured that mushroom, leeks, and bacon will really work well together. I actually used the combination of these flavors in my Sourdough Mushroom Leek and Bacon Stuffing, and it’s the best stuffing I’ve ever had. I also figured this risotto would be the perfect taste of fall. I know that in America, fall flavors are pumpkin, squash, and apple; but fall is also the season for picking up mushrooms. When I was a little girl I would go into the forest with my family very early in the morning (I mean very early – like 5 AM) and we would be picking mushrooms. We had to go that early because this tradition is so popular that a lot of people are in the woods scouring for mushrooms. If you’re late you may not be able to find any. Now I just go to my local supermarket and pick up some shitake and oysters mushrooms and I’m good to go. However, I must admit that I miss those early days when we would go mushroom picking. I know that risotto can be intimidating because you need to be constantly mixing it and be careful not to overcook it, but it’s actually not that difficult to make. You just need to keep an eye on the rice and add enough liquid to cover the rice and let it absorb. Then add more liquid and continue the process until the rice is fully cooked. It’ll take about 20 minutes for the rice to get fully cooked; so even if you have to watch it carefully, it’s not for a long time. 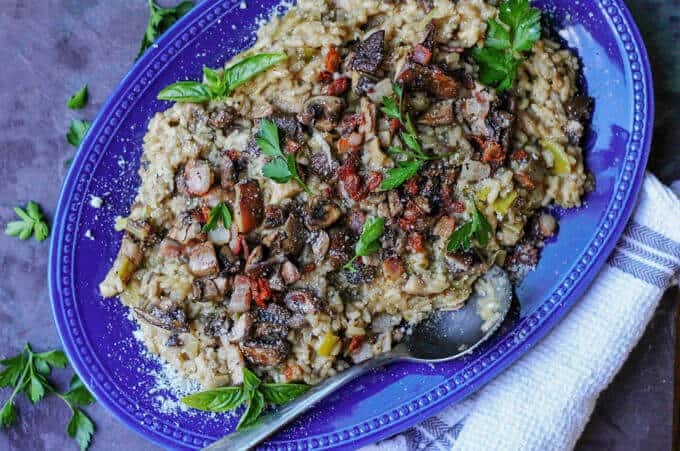 Try this Wild Mushroom Risotto with Leeks & Bacon and I guarantee that you’ll not only make it perfectly, but you will want to go back to this recipe over and over. 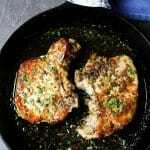 This can work as either a side dish or a dinner main course. 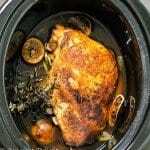 At this time start adding one ladle of stock to the rice at the time and mix it until absorbed. 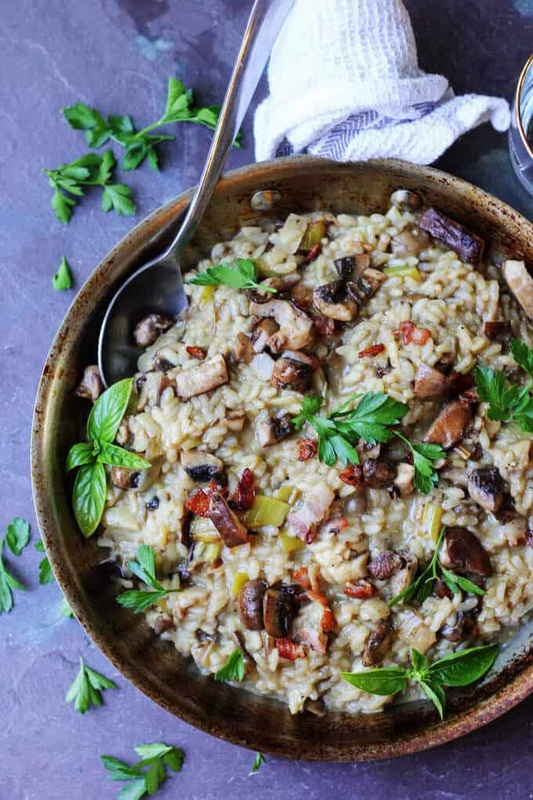 Stir in Parmesan cheese, top the risotto with remaining mushrooms, crispy bacon bits, and freshly chopped parsley. Serve immediately. I absolutely love mushroom risotto, bacon and leeks must just add so much more flavour. 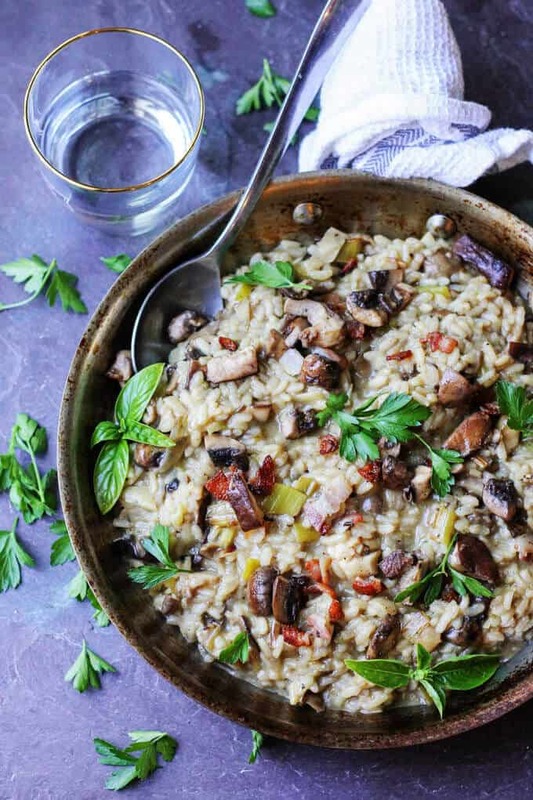 I’ll definitely be trying this next time I make risotto! Thanks Emily. I hope you’ll like it. What a fabulous risotto recipe! 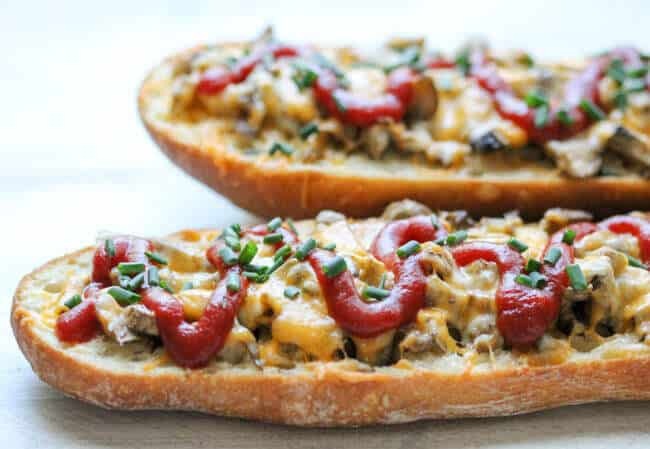 This looks so good…this is comfort food to me. Comfort food to me too 🙂 Thanks for stopping by! 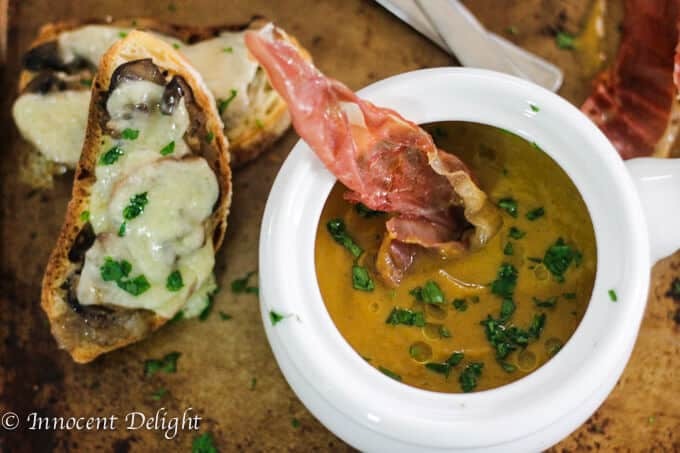 What perfect comfort food! My family would love this! 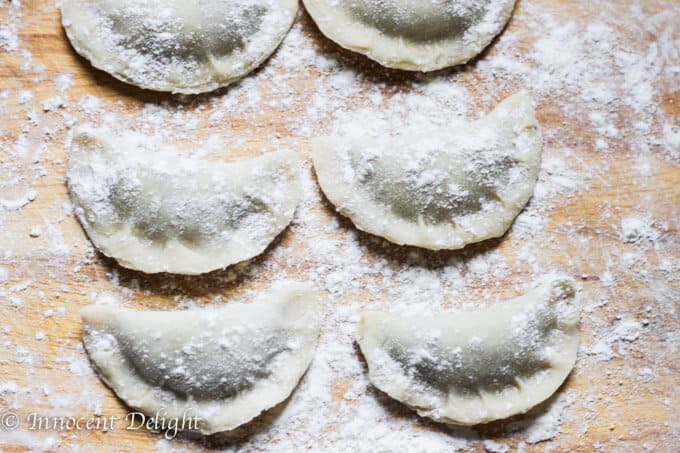 I need to try this recipe!! 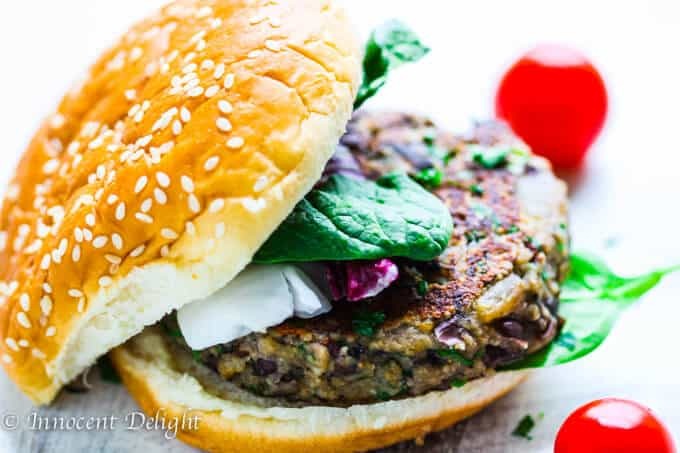 Every ingredient sounds amazing! Beautiful photos too! !